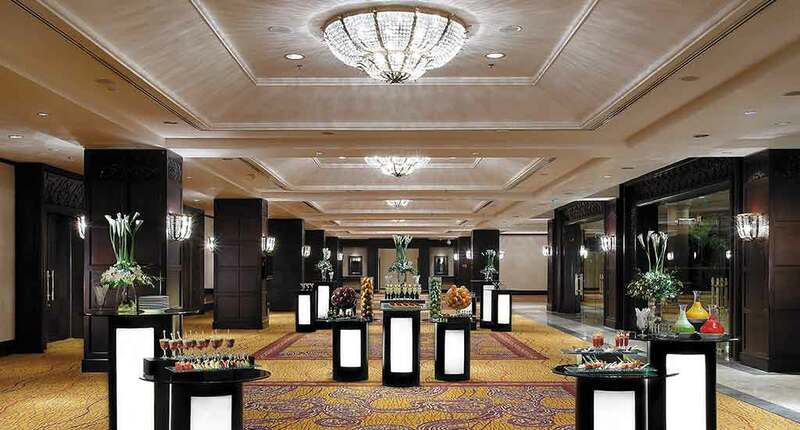 The five-star Shangri-La Hotel is situated in Surabaya, Indonesia. 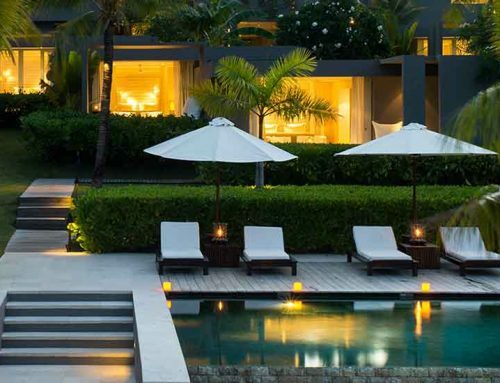 The luxury and hospitality are the main elements that describe the hotel. 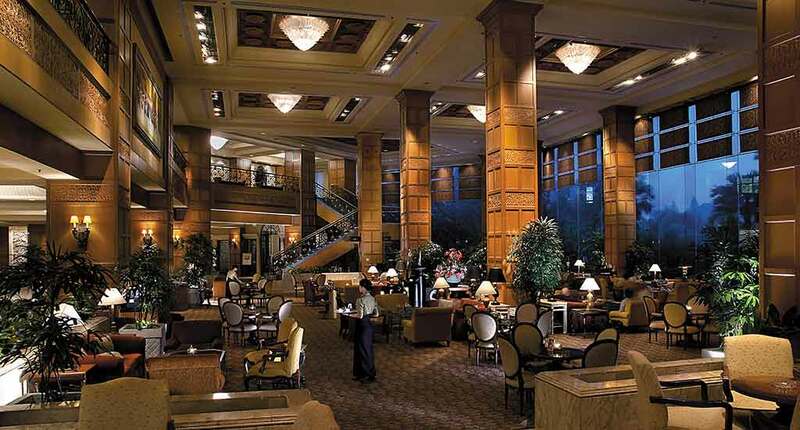 Shangri-la is surrounded by a green garden and is situated near the center of Surabaya. That’s why, we recommend you to explore a little the surroundings. 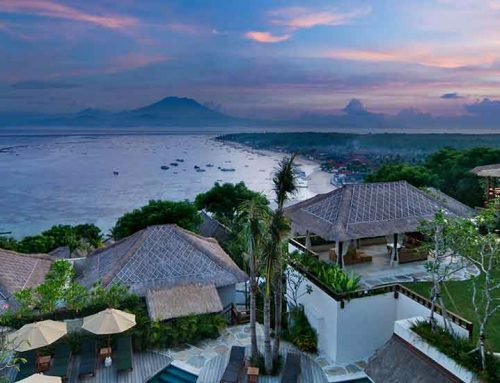 Just three minutes away from the hotel, you will find the Ciputra World. This is the Surabaya’s shopping mall that prides itself with an impressive reputation. Another attraction of the city is Bonbin Surabaya or Surabaya Zoo. It dates back to 1918 and boasts with an amount of 200 species and 3.500 animals. Also, it owns over 70 Komodo dragons. 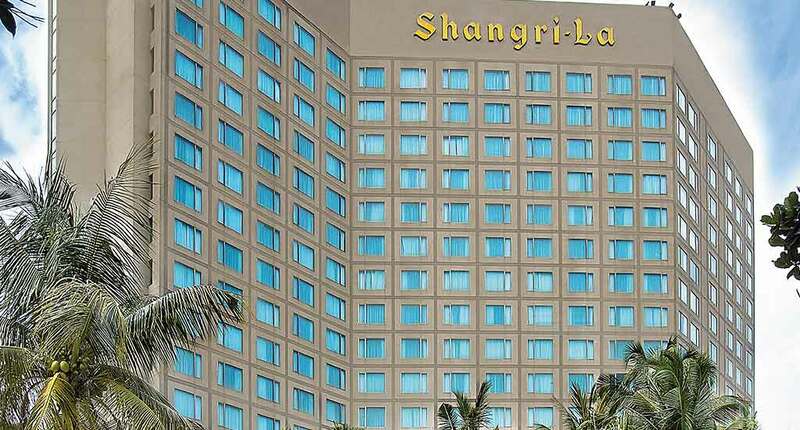 In terms of accommodation, the Shangri-La Hotel provides 380 luxurious guestrooms and suites. 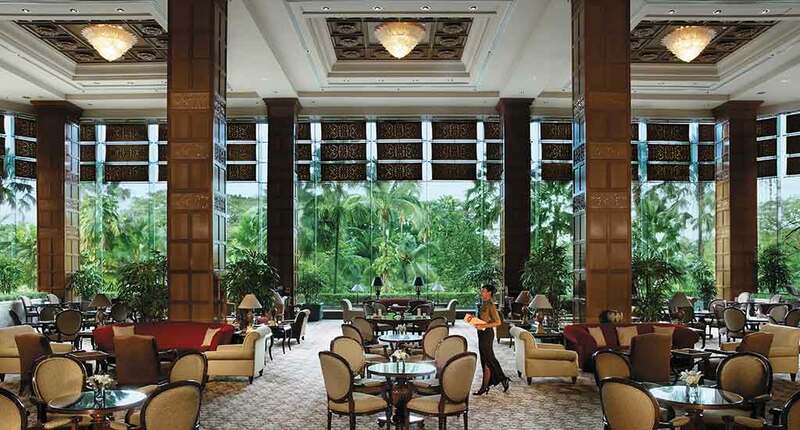 The refined carpets and wooden frames placed on the walls are adding a touch of Chinese style. There are two types of guestrooms in the hotel. These are the Deluxe Room and the Executive Room, that provides amazing city views. For travelers who want to benefit from additional services, we recommend to choose one of the Horizon Club Rooms: Deluxe or Executive. 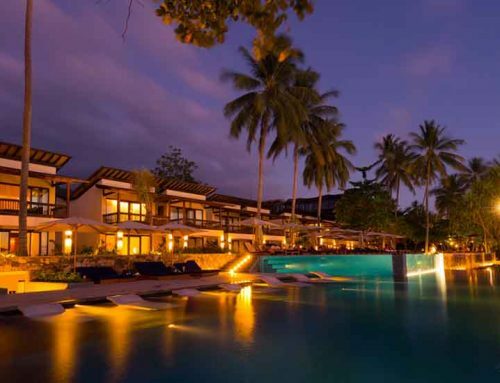 The Horizon Club package consists of a higher level of attention and personalized services. The purpose is to make tourists “feel always home away from home”. Every person who choses these types of rooms, benefits of private lounge during the breakfast, evening cocktails, newspapers, private check-in and check-out, a private Club Concierge and the list continues. The last type of accommodation are suites. There are four suites: Executive, Residence, Premier and Presidential Suite. You can choose your room depending on your view and space preferences. The most luxurious one is the Presidential Suite. The room’s design is perfectly matched with the view that can be seen from the window. This one is characterized by the hotel as being the most elegant, sophisticated and intimate room in the hotel. In terms of alimentation, the hotel provides five restaurants and three bars & lounge. 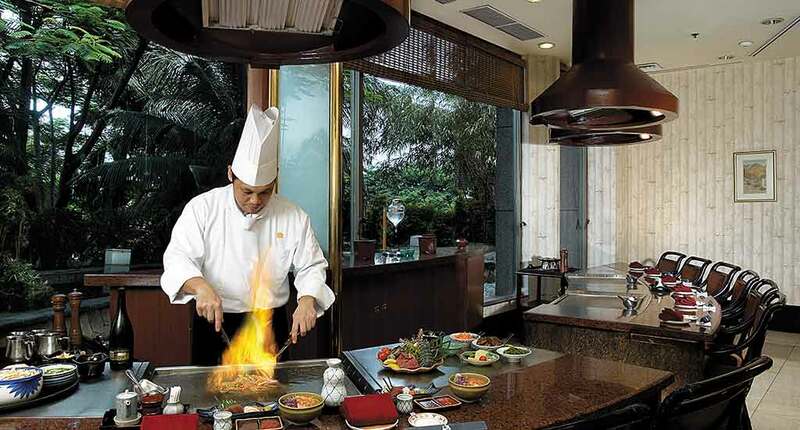 You can shop desserts at Cake Shop situated on the 1st floor, dine all-day at the Jamoo Restaurant, discover the Japanese cuisine at the Nishimura Restaurant, the Italian one at the Portofino Restaurant or the Chinese dish at Shang Palace. For soft and strong drinks, you can choose the Desperados Grill and Bar, Lobby Lounge or Pool Bar. 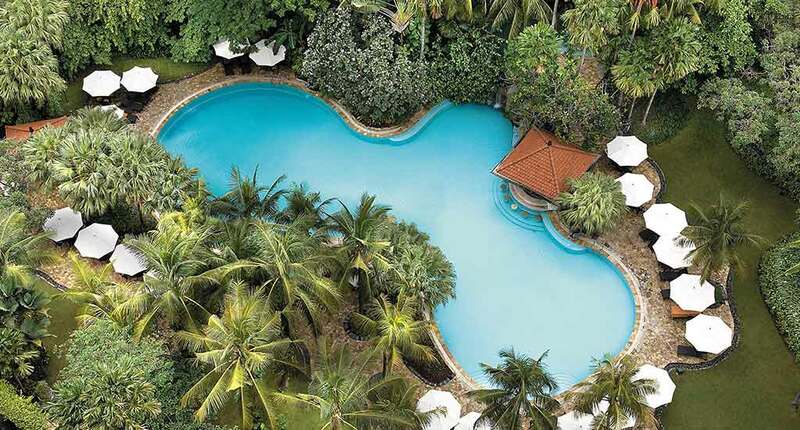 In terms of recreation, the hotel’s facilities include a SPA center and a Health Club (e.g. swimming pools, jacuzzi, sauna, table tennis, tennis courts). 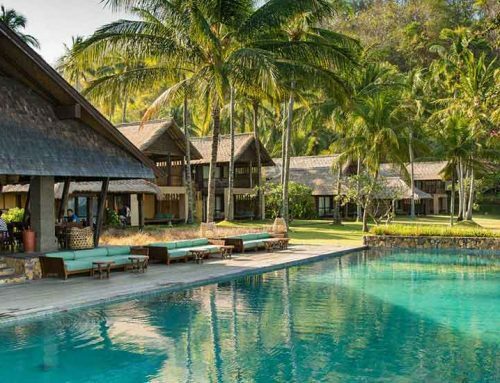 Every person who wants to relax and have some quiet time can spend the days at the pool, surrounded by green. However, adventure lovers can visit Mount Bromo, which is an exquisite location, The House of Sampoerna, Cheng Ho Mosque or Taman Safari II and Jatim Park II if anyone really wants to stand face to face with wild and ferocious animals. The Shangri-La Hotel is not the newest one and from the outside you will see this immediately. The interior is very Chinese inspired but glamorous. Still it’s the most luxurious hotel in Surabaya. Stay like a royal, try the different cuisines, listen to live music at the Desperados Grill and Bar and just live the moments spent at one of the most luxurious hotels of Surabaya. Address: Jalan Mayjen Sungkono No. 120, Pakis, Sawahan, Pakis, Kec. Sawahan, Kota SBY, Jawa Timur 60256, Indonesia.